Recently I have been reading Cardinal Sarah’s The Power of Silence. I was a little skeptical about this book at first, thinking, I already know that it’s important to cultivate silence, that our society is totally absorbed by cell phones, by constant updates, and music and entertainment. But this book is not really about staying off our phones. It doesn’t just tell us that constant noise is bad for social skills and intellectual development. It insists that silence is fundamental to our human nature. It tells us why we need to find silence, and how. It reminds us that the Lord speaks in silence and that he created us to hear his voice in silence. Real discernment can only be achieved through silence. How do we know that real discernment requires silence? Cardinal Sarah invites us to meditate on the silence of God throughout human history. 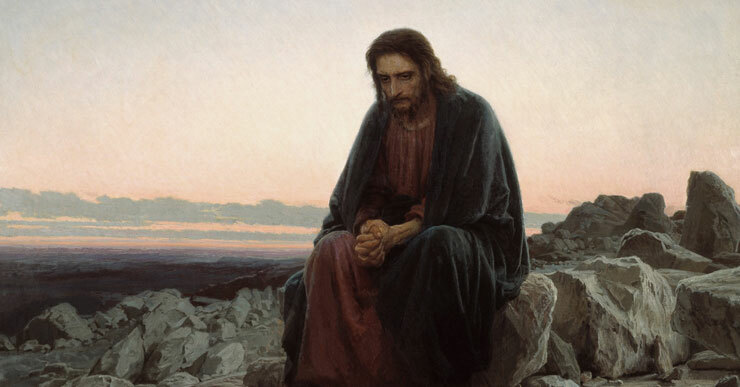 He quotes St. John of the Cross, “The Father spoke one Word, which was his Son, and this Word he always speaks in eternal silence, and in silence it must be heard by the soul.” (p. 24) This silence of God is often a literal silence – without sound – but it can also mean that God’s actions are hidden, humble, and simple. God speaks one Word in silence, and one Word is enough, and it endures throughout all time. At the beginning, God breathed life into man in silence. In silence, while the man slept, he formed woman from his rib. The creation of every human life is veiled in his mother’s womb, the life-giving moment unknown even to the ones who are the child’s co-creators. Christ became man in silence. He was born in solitude, shielded by the darkness of the night. He grew to adulthood in silence. He retired into the quiet desert to hear the voice of his Father. He retired into the Garden to suffer through his agony. He stood before the jeering and shouting crowd in silence. “Have you no answer to make?” Pilate demanded, but he was silent. And the most glorious moment in all of human history — the moment when death was vanquished and sin defeated — happened in solitude and silence, unwitnessed by man. To the men and women of Israel, it seemed like an ordinary night. Jesus Christ rose from the dead in silence. Why do I so often look for the voice of the Lord in noise? I don’t expect a literal voice from heaven, of course. But I want it to be obvious that I’m called to this career because I just love it and it matches all my skills and every day is a great day. I want it to be obvious whom I’m supposed to date because I fall in love at first sight and have no doubts. I want to kneel before the Host and hear clearly in my head the answers to all my questions. But the voice of the Lord is a silent voice, and to hear him we must be consumed by silence – silence of speech, but also silencing of worries, charging emotions, frustrations, and doubts. God has chosen to reveal himself to us in silent love.